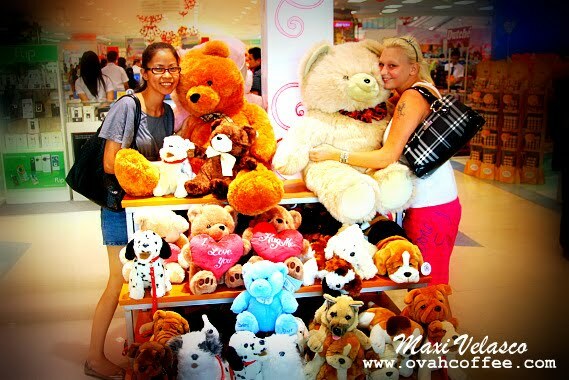 Ovah Coffee: Teddies, Teddies, Teddies! Because we could not take the huge teddies with us, we opted to taking a pair of piglet bedroom slippers instead. Great buy, I should say since each pair had a price tag of only Php179. These pair of bedroom slippers are really comfortable [aside from being so cute]. Perfect for the cold months in Sweden! Ang cute naman ng slippers na nabili nyo! Yup! Really cute! I've worn mine a lot of times already. Love it! Thanks thanks Anney. REally really cute. Sana nga dalawa nabili ko eh. Hugs!